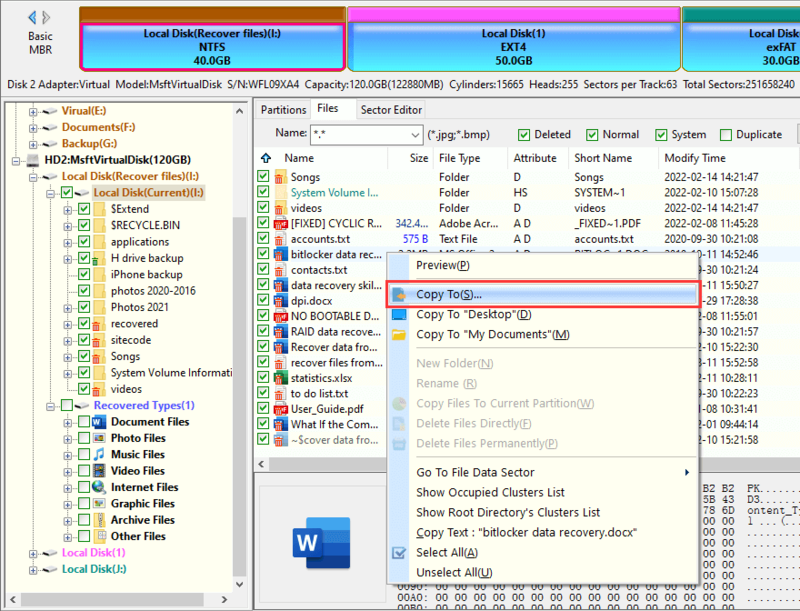 Position: How Tos - Data Recovery - How to Rescue Data with Undelete Software? 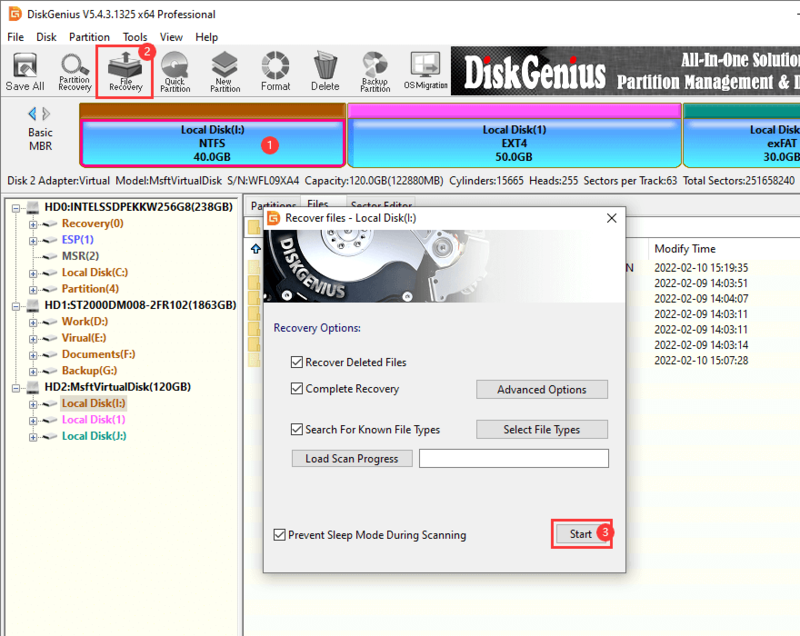 DiskGenius not only can help you recover deleted files, but it also can help you recover formatted, damaged or corrupted files. Data and files are some things that should forever be in the right hands in the right PCs. Accidental access of private and vital data information to the bad hands and people may lead to dire complications, consequences, and trouble. Most PCs help to remove data information, anyway, this data information is not truly deleted as it only ends up in free disk space in the PC. It is only with the help of reliable undelete software will be sure that all the deleted data/files can be recovered to your life. How to recover lost data with undelete software? In the process of removing files, you may sometimes intentionally or accidently delete files and data that you may need. The deleted files are not really lost. They are stored on the free disk space of your hard drive. Before new files completely overwrite the disk space of the deleted files, you can undelete all your files with undelete software. The undelete software helps in recovering files that were deleted or formatted. Sometimes, someone else may remove some files that you need, you also can recover your files with undelete software. Even files that were removed due to system malfunction and crashes can be retrieved using undelete tool. What are you thought to do if you find yourself in a condition where in you need to retrieve the files which where accidently deleted or lost from your PC? For this, what you can do is look for a program that will permit you to undelete files simply and quickly. The way that such program works is by accessing your hard drive and looking for data which do not have matching pointer information. Once the program gains access to these files, you can undelete files in a matter of few clicks. Step 1 Select the hard drive where you delete your files. If you delete files on an external device, just connect it with your PC at first. Step 2 Click "File Recovery" to start scanning the selected hard drive to find your deleted files. Step 3 Recover the deleted files when the scan is completed. When you use this undelete software to scan your hard drive, you will find it can deeply scan the hard drive and show you all the recoverable files. You also will see it is very simple to use. In order to prevent the deleted files from being overwritten by new files, don't save new data to the hard drive where you delete your files. Just immediately run undelete software to scan your hard drive, it can recover all your lost files.